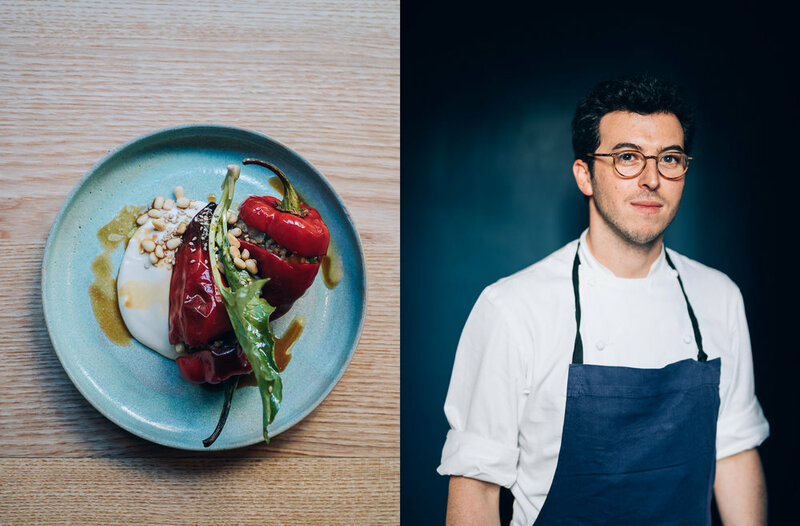 From October 30th to November 4th, the Israeli chef Tamir Nahmias will cook in Providence pocket kitchen. On the program, a thousand flavors blending dates, sesame and spices, during these autumn holidays. Born in Haifa, Israel, he will most certainly offer a fenugreek-flavored dish on Providence menu during his chef residency. Peppers, homemade spice blends with a base of coriander and cumin, the dishes will be as colorful as the autumn leaves. “I will make several attempts around my Middle Eastern inspirations.” For dessert, Tamir Nahmias thinks of a halva parfait, that is to say, sesame nougatine, with a passion fruit coulis, or a mille-feuille with medjool dates. The sweetness after the swirl of spices. At the age of 35, he graduated from the Bocuse School in Lyon and arrived in France eleven years ago. “The best place to learn how to cook,” he says. Based in Paris, Tamir Nahmias has worked for great addresses of traditional French cuisine, including the Astrance, three-star restaurant. He was also executive chef at Frenchie, neo-bistrot of the successful chef Grégory Marchand. Before arriving at Fulgurances in 2016, “the first restaurant in France, or even the world, to operate on the principle of ephemerals chef residencies. There he meets Celine Pham who speaks to him about Providence and the Basque Country. “She told me it was the most beautiful place in the world,” says one who has never been there before. In May, Tamir Nahmias has already made a residence of one month at the seaside, La Mercerie Marseille. The traveler does not intend to let go of Paris so far: he will soon open a grocery store in the center of the capital. This entry was posted in moments and tagged culinary, food, guéthary, locavore, organic, providence, residency, seasonal.